Winemakers joke that the best way to make a million out of a vineyard is to start out with several million. Pablo Morandé is laughing all the way to the bank and rather than go into the red, he went into the white – wine, that is – after spotting Casablanca Valley’s similarities to northern California's Los Carneros region and planting 20 hectares of Chardonnay, Riesling, and Sauvignon Blanc vines back in 1982. Over three decades later, this foresight has paid off many times over and today the region is famed throughout the world as one of the New World’s premium wine regions. 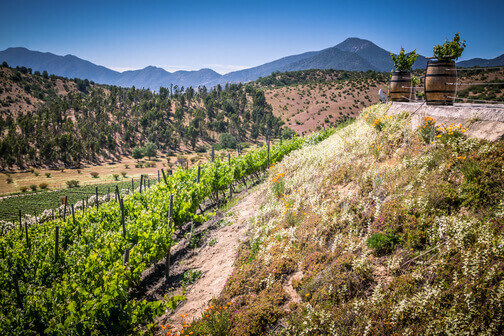 Situated between Valparaiso and Santiago, the Casablanca Valley was named after Santa Bárbara de Casablanca, the wife of Spanish king Ferdinand VII and is part of the Aconcagua wine region, one of Chile’s five principal wine regions. The region takes its name from the Aconcagua mountain – the Andes’ highest peak at 6,956m – whose snowmelt hydrates the foothills and valleys below. It is these cold and pure waters, along with the morning fog and daytime cloud cover brought by the nearby Pacific Ocean, which cools Casablanca and allows wine to be produced so near to the equator. Like Morandé first noted, the region has a terroir similar to Bordeaux or northern California’s Los Carneros region, which includes parts of Sonoma and Napa counties. 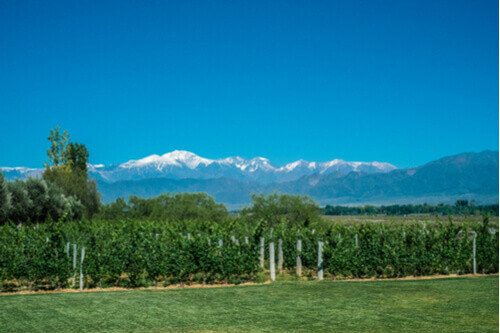 Although Aconcagua is known for producing reds – such as Cabernet Sauvignon, Syrah and carmine – Casablanca’s cooler conditions and mix of clay and sandy soil mean it is perfectly suited for producing crisp white wines such as Chardonnay and Sauvignon Blanc, as well as very palatable Pinot Noirs. Always thirsty for a taste of home, the Spanish conquistadors actually brought their own vitis vinifera vines to South America back in the 16th-century; however, these never amounted to much more than communion wine. Ever the ones to leverage their position, the colonists restricted local production and insisted Chileans buy Spanish wines. This racket continued until independence, after which Chilean landowners started to import French vines, such as Cabernet Sauvignon, Merlot, Cabernet franc, Malbec, Sauvignon blanc and Sémillon. Despite this great root stock, the Chilean wine industry never quite took off and, up until the 1980s, its wines had a reputation of being roughly palatable, but not that good. However, once the country’s political, bureaucratic and taxation climates all turned more favourable, foreign investment arrived, followed by better equipment and expertise. One key change was switching from aging wine in barrels made out of the local rauli beechwood, which gave it a distinct taste many outside Chile did not care to acquire, to using vessels made from oak and stainless steel. These improved conditions are credited with popping the cork on the Chilean wine boom, which started around the turn of the 21st century. 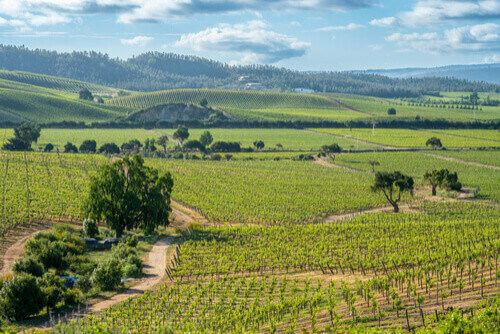 Apart from a sleepy town and a nice church, almost all the town of Casablanca has to offer are the vineyards strung out along Route 68, which runs between Valparaiso and Santiago. Nearly all of the vineyards in Casablanca Valley also serve top quality food. As there is no public transport, joining a tour or hiring a car is your best bet; booking ahead is advised too; with two major cities within spitting distance, tastings can fill up.